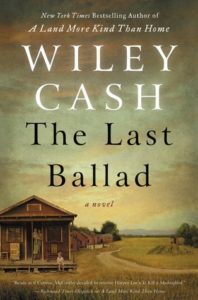 Wiley Cash’s latest historical novel, The Last Ballad, ranks as one of the best books I have read this year. Centered on a little known textile mill strike in Gastonia, North Carolina, it focuses on the life of Ella May Wiggins as she becomes involved in unionizing and integrating the Southern mills – an ultimately tragic effort. Point of view shifts between various characters as their paths cross and recross, their fates intertwine. Mr. Cash’s writing is spare yet evocative, the exact opposite of William Faulkner; yet, in his concentration on the impoverished and the disenfranchised seeking dignity, in his beautiful description of the Southern landscape and emotional life, I find a strong comparison. Ella May and the strike she sang for were forgotten by the world she fought to improve. Thank you Wiley Cash for bringing her back to us. I loved Christina Baker Kline’s novel Orphan Train. This book puts her permanently in my favorite authors file. 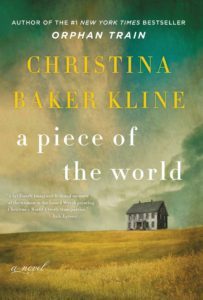 An insightful and poignant historical novel, A Piece of the World take Andrew Wyeth’s painting “Christina’s World” and imagines the woman behind the tempera. Crippled as a child from an, at that time, unknown disease Christina Olson tells us her story with both pride and humility. She breathes in our faces. She is not the only one. This book is not full of characters – it is peopled. They live in a beautifully realized landscape as moody and distinct at Wyeth’s painting. I will miss them now that I’m done with the book. But then, like “Christina’s World” I can always visit them again. Thank goodness! If you read Robert Hicks’ novel Widow of the South you may recognize some familiar names, faces, and circumstances. 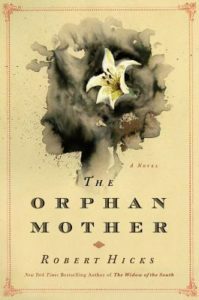 However, it is not necessary to have read Widow of the South to appreciate Orphan Mother. It stands alone. Set during the first phase of Southern Reconstruction it is a look at the racial and societal tensions of the era – tensions that often resulted in violence. It follows the fates of Mariah the freed slave as she learns to let go off the mental and emotional chains of the past and Tole the assassin as he learns the impossibility of doing so. Well-written and insightful I read it slowly not wanting to miss a word. It was worth the time. 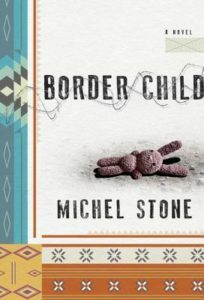 Ms. Stone’s sequel to Iguana Tree picks up the migrant family of that book after their deportation back to Mexico. Hector and Lila are both experiencing the trauma of their return to their hometown as well as being haunted by the memories of the fateful trip to America. Although expecting a third child they can not let go of the tragic loss of their daughter Alejandra, stolen from Lila on the trip north. While Lila deals with a difficult pregnancy Hector goes on another quest, this time for his beloved child. Once again Ms. Stone has written a thoughtful, empathetic story that captured me on the very first page. Ms. Stone possesses a talent for exquisite descriptions and well-drawn characters. It’s not necessary to have read Iguana Tree to enjoy this book, though I would advise it anyway. They are both wonderful reads. I was told this was a “trippy” book. Understatement! Trippy, yes, but totally engrossing. A small book, it can easily be read a an hour or two, but it will stay with you for a long time after you finish. Ms Schweblin is Argentinian and this is best described as Latin literature in the vain of Marquez. It has metaphysical elements, human deformities, and an unnamed “scourge.” Written as a dialog between two people, one of whom is dying, it weaves past and present into each other as the characters stories meld and separate. At the end we are left with few answers. 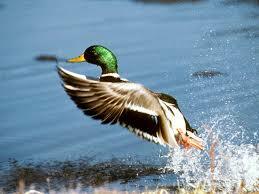 All we know for sure is that it is in the water – but then water has many meanings in dreams. All I can say is read it for yourself, prepare to be fascinated and haunted, find someone to discuss it with. Well worth it all. Mr. Downs book is a sweeping, detailed account of reconstruction from Lee’s surrender ( which did not end the war) to the 1880’s. I learned a lot and was not bogged down by either dry writing, boring statistics that added nothing to the narrative, or opinionated asides. 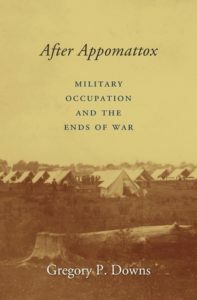 The conclusion juxtaposes Southern reconstruction of the 19th century with contemporary uses of the military with logical and informative thinking. A must read for anyone interested in this period and subject.